The Gaelic Players' Association says it is assisting a GAA player, believed to be from Monaghan, who has allegedly failed an out-of-competition drug test. The Irish Sports Council's Anti-Doping Unit is understood to be conducting an investigation after the player tested positive for steroids. The test took place in February and the GPA referred to the player, thought to be in his 20s, as "a trial panellist". "The GPA is providing him with personal and professional support," they said. The Association indicated that the player was not a member of the GPA and it is understood that he is not currently a member of the Monaghan senior inter-county panel. 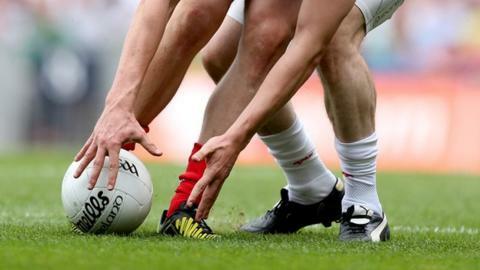 "The GPA is currently advising a GAA player who has had an adverse finding as a result of an out-of-competition drug test in February of this year," read the statement released by the GPA on Sunday. Under the GAA's anti-doping procedures the Irish Sports Council (ISC) has informed Croke Park of its findings and the matter is now with the association's Anti-Doping Hearings Committee (ADHC), an independent body that enforces the ISC anti-doping rules within the GAA. The player is unlikely to have his hearing concluded for a number of weeks following the ISC investigation. "As the process before the GAA Anti-Doping Hearings Committee is ongoing, the GPA will be making no further comment on the matter until the Hearings Committee has concluded its deliberations. The GPA is committed to supporting Anti-Doping protocols," they added. Just last week, the Irish Sports Council announced plans to implement blood testing for GAA players as urine testing, in and out of competition, is the method currently in place.